This event has come and gone but I have left it on the website for people who need inspiration. If you are interested in sustainable local food production you may also enjoy www.growtogether.org.nz. 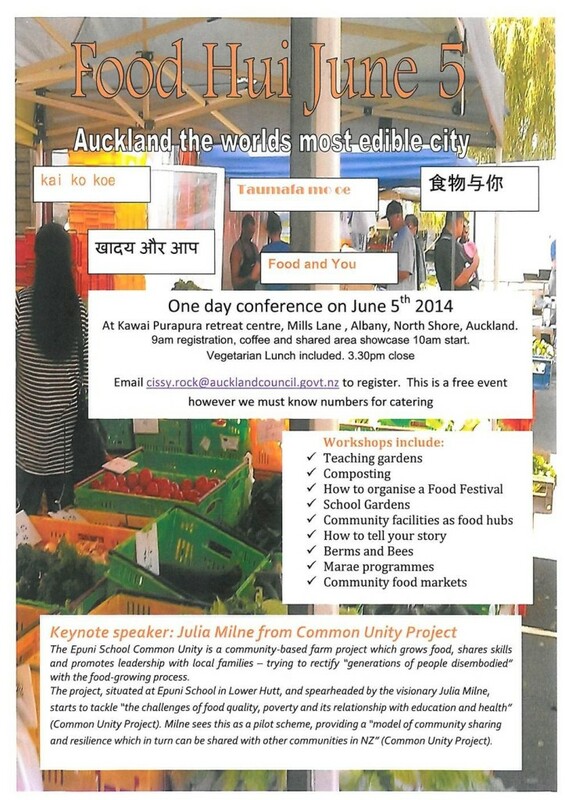 A food hui will be held on June 5 at the Kawai Purapura Retreat Centre in Albany. This is a great way to learn about sustainable food production and be inspired by what other people are doing in their communities. Please see the illustration below for details.